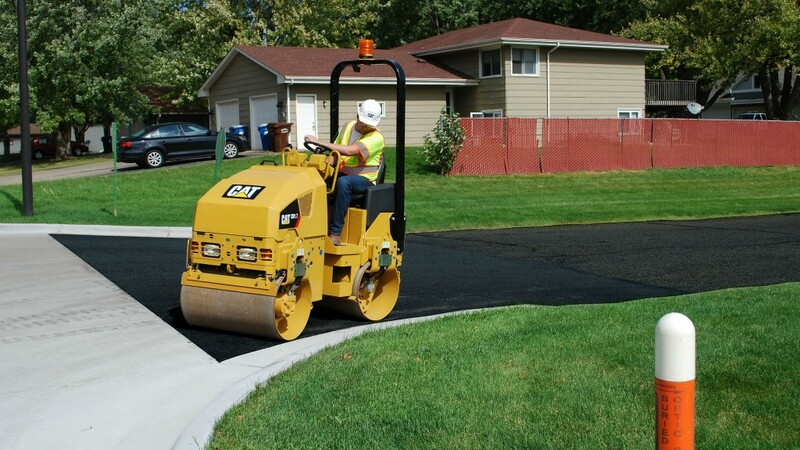 Typical applications for Caterpillar's CB1.7 and CB1.8 utility compactors include: bike paths, courtyards, patchwork, parking lots, driveways, town centres, and shoulder work. Customers expect Cat Paving products to offer machines and services to help them become more efficient and profitable. The company says that these new models do just that by making them easy to operate, simple to transport and quick to service. The new CB1.7 and CB1.8 utilize a weight-based nomenclature that signifies its standard operating weight in metric tonnes, making it easy for customers to choose the machine that best fits their needs. These new models provide excellent versatility in the 1.7 mt to 1.8 mt size class. Typical applications include: bike paths, courtyards, patchwork, parking lots, driveways, town centres and shoulder work. Simple operating features include toggle-type switches for quick and easy activation of machine functions. The mechanical propel lever provides quick reaction for precise control, while vibrant LED lights on the console simplify operation in low light conditions. Moving to a new jobsite has never been easier. The single-point lifting option and durable hitch design makes hoisting these machines onto transports quick and easy. The foldable ROPS option provides a short height and enables the machine to move under and around low structures when performing compaction procedures. The high amplitude vibratory system combined with large diameter drums and the exclusive, eccentric weight design delivers excellent compaction performance. With automatic activation and front or both drum vibratory capabilities, this machine provides the results that jobsites require. These new models are designed to easily fit in the rental fleet. Product Link capability enables close monitoring to keep owners informed of machine location and service needs. The simple control panel and spacious platform offer comfort to suit a variety of operators. Durable components and the fuel-efficient engine maximize uptime and lower lifetime operating costs. Full access to remote drains, sampling ports and filters makes service fast and easy. Long service intervals for the engine oil and vibratory drums keeps the machine on the jobsite longer for optimal operational needs.